A former member of the Illinois Senate is suing the state’s comptroller to get money he claims was denied him during a decade in office — even though he voted for the measure he now claims is illegal. City of Moline Committee of the Whole met April 25. City of Moline Committee of the Whole met Tuesday, April 25. East Moline's annual AMVETS Fourth of July Parade will reverse course this year, just like it did in 2015, according to a city press release. The Whiteside County Airport Board twice violated the Open Meetings Act (OMA) in 2016, according to an email from the Illinois attorney general that the Edgar County Watchdogs (ECW) posted on their website recently. Morrison-based attorney Michelle Buckwalter-Schurman has been chosen 1st vice president of the National Federation of Republican Women (NFRW), according to a press release. Seniors can enjoy free health screenings and nutritional suggestions and learn how to take advantage of utility savings at a seminar on Tuesday, June 27, being hosted by Rep. Tony McCombie (R-Savanna) and Sen. Neil Anderson (R-Rock Island). Grade school students in Northwest Illinois can turn into 'Readasauruses' this summer thanks to a program being offered by Rep. Brian Stewart (R-Freeport). Moline City Council met May 9. Moline City Council met Tuesday, May 9. Moline City Council met May 23. Moline City Council met Tuesday, May 23. Moline City Council met June 6. Moline City Council met Tuesday, June 6. City of Moline Citizens Advisory Council on Urban Policy will meet June 21. City of Moline Citizens Advisory Council on Urban Policy will meet at 4 p.m. Wednesday, June 21. City of Moline Committee of the Whole met June 13. City of Moline Committee of the Whole met at 6:30 p.m. Tuesday, June 13. City of Moline Committee of the Whole met June 20. City of Moline Committee of the Whole met at 6:30 p.m. Tuesday, June 20. City of Moline Park and Recreation Board will meet June 22. City of Moline Park and Recreation Board will meet at 3:30 p.m. Thursday, June 22. City of Moline Joint Review Board will meet June 21. City of Moline Joint Review Board will meet at 2 p.m. Wednesday, June 21. While frustrated that a special session became necessary, Sen. Neil Anderson (R-Andalusia) applauded Gov. 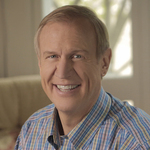 Bruce Rauner for calling lawmakers back to Springfield to end the state’s budget impasse, according to a press release. The General Assembly needs to pass a balanced budget but also must address other underlying issues to prevent the last three years from every recurring, Rep. Brian Stewart (R-Freeport) argued on his website recently. City of Moline Committee of the Whole met June 6. City of Moline Committee of the Whole met Tuesday, June 6.